China aims to control and closely monitor its citizens, and its Orwellian experiment started in Xinjiang. Despite the regime’s consistent denial that it is imprisoning and torturing ethnic minority Uyghurs, evidence suggests that more than 1 million Uyghurs are detained in Chinese political re-education camps located in Xinjiang. In addition to unlawfully detaining Uyghur individuals who may be recognized as potential threats to the Chinese Communist Party (CCP), Chinese authorities have made Xinjiang a place full of security checkpoints and cameras to closely watch citizens living in the region. Using the excuse of fighting against terrorism and ensuring social stability, China has spent more than $8.8 billion on security measures to control the country’s northwestern ethnic autonomous region. Furthermore, China has a strong interest in developing new surveillance techniques, such as facial recognition, comprehensive surveillance cameras, and even DNA collection from all Xinjiang residents. The Chinese government is clearly willing to invest heavily in hiring additional security staff in the Xinjiang region. More than that, though, the government’s actions show its intent to develop technologies that could later be applied to other regions in the country. It’s Not About Ethnic Issues. It’s About Watching All Chinese Citizens. Some Han Chinese may be overly optimistic, arguing that these measures and extensive surveillance are specifically aimed at Xinjiang, to solve its “unique ethnic problems.” However, signs indicate that the Chinese government is not only targeting the Uyghurs, but also all Chinese citizens. While emphasizing the importance of “cyberspace sovereignty” and applying Chinese laws in cyberspace, the Chinese government closely monitors its citizens’ online activities. In addition to imposing strict censorship on the Chinese internet, starting from 2017, Chinese cyberspace officials demanded that Chinese internet companies require their users to register with a mobile phone number that is linked to a real-name Chinese ID. This measure aids the police and other authorities in tracking down individual citizens’ online activities. The Chinese government has already started a massive monitoring system on all of its citizens’ online activities, from online shopping to posting content on the internet. At the same time, the country has further developed its unique social credit system to rank their citizens based on behaviors and (potentially) their loyalty to the regime. 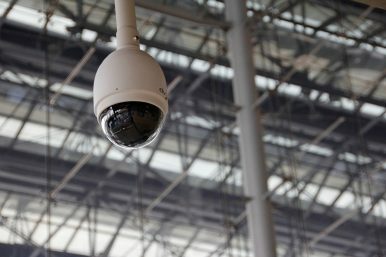 In addition, Chinese authorities have already put up a massive network of cameras and facial recognition systems in several Chinese cities. The system has been proven effective; Chinese police were able to capture journalist John Sudworth in seven minutes in a drill exercise shown to the BBC. The Chinese government is treating Xinjiang more like an experimental zone. In a region remote to the eastern coastal areas and away from the Chinese public’s attention, the Chinese government created an Orwellian state within the country to try its latest developed technologies on a group of people. Once the government develops a more mature and complete system, it is very likely to adapt the system to other parts of China to advances its surveillance against all its citizens. Despite the outrageous steps the Chinese government has taken against Uyghur citizens in Xinjiang, there is little room or opportunity for the public to question the legitimacy of developing these systems for surveillance and control. The government effectively has unlimited power over its citizens, who cannot resist any actions that the authorities decide to take against them. In fact, one legal analysis suggests that the political education camps the government developed in Xinjiang cannot even be justified under Chinese law. With no laws to check the government’s actions, Chinese security officials could turn the present-day situation in Xinjiang into the future of the Chinese people as a whole whenever they choose. It might cost money to set up the system, yet that’s an easy hurdle for a regime that has a primary goal of maintaining its power without holding democratic elections. China will be eventually heading down the path of becoming a totalitarian Orwellian state. In addition to the massive surveillance and oppressive measures that the government has placed on citizens within China, there is evidence that the CCP is attempting to influence overseas citizens as well. Despite facing pressure from the United Nation and several human right groups, China does not show any signs of stopping its brutal persecution against the Uyghurs. On the contrary, a report from The Daily Beast suggests that the Chinese authorities are expanding their influences to Uyghurs overseas. By threatening to detain or imprison their relatives who are still in China, the Chinese authorities are using coercive measures to prevent oversea Uyghurs from organizing anti-China protests, telling the outside world about the cruel realities in their home region, and even speaking to the media. The ruling Chinese Communist Party is not only against Uyghurs, but also any individuals who may present a bad image to the regime. Earlier in 2017, Chinese state media bashed a University of Maryland student for criticizing the country’s poor air quality and lack of freedom of speech. Earlier in August, a German student was expelled from China for interviewing Chinese human rights lawyers. Through its threats and coercion, the Chinese regime has shown its poor record of making its citizens behave against their will. The Chinese regime hopes to silence any voices that intend to speak up against the government, and intends to closely watch all residents in the region to prevent them from organizing any anti-government rallies or creating any threats to the ruling regime. However, the regime’s influence is no longer restricted to its own sovereign border, but seeks to undermine the freedom of speech overseas. Chauncey Jung is a China internet specialist who previous worked for various Chinese internet companies in Beijing.